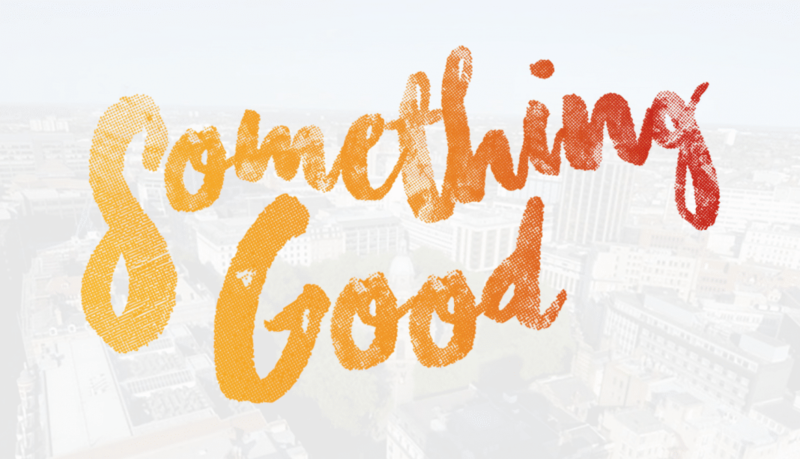 ‘Something Good’ is coming to Rubery – and YOU can be a part of it! All this week, YOU can be part of a creative community art experiment taking part in Rubery – and across the city – as part of Birmingham Cathedral’s 300 year anniversary! ‘Something Good’ (measures of us) is a creative experiment which aims to measure how communities across Birmingham are feeling, as winter descends, by asking residents to answer a question every day for five days using a small digital box in locations within their communities. 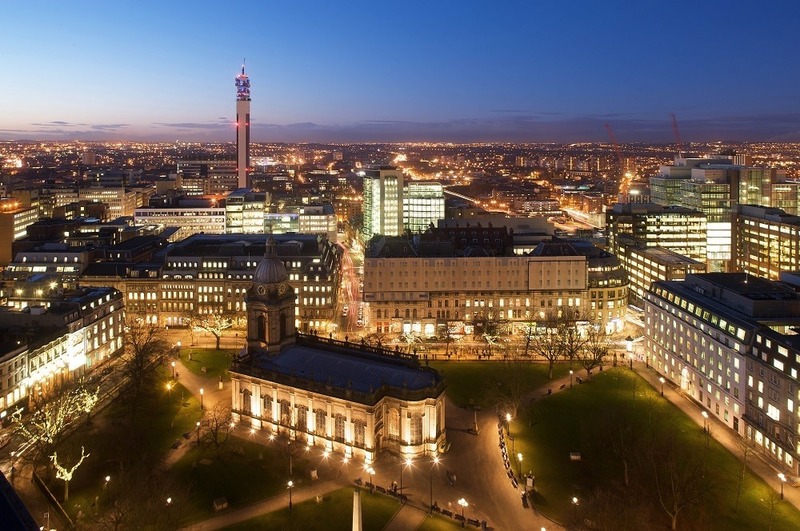 As part of the project – a collaboration between between Orit Azaz, Redhawk Logistica and Lisa Koeman on behalf of Birmingham Cathedral – daily questions will all request an emotive response, with participants being asked to agree, remain neutral or disagree. 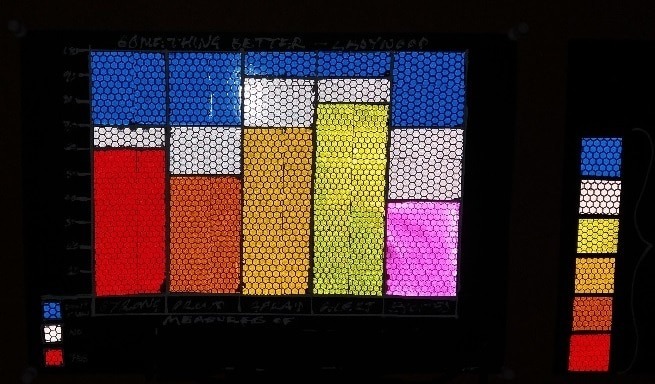 From Monday 28th November until Friday 2nd December, each community’s feelings will then be displayed, from dusk, on a large illuminated boarding their neighbourhood – in Birmingham City Centre, Hall Green, Handsworth, Hodge Hill, Rubery and Sutton Coldfield. The event will culminate with a full display of all the community boards from across Birmingham in the Cathedral Square on Saturday 3rd December. Organisers hope the event will create discussion and engagement within and between communities. The project’s findings will feed into research by ICRI Cities: Intel Collaborative Research Institute for Sustainable Connected Cities and UCLIC: University College London Interaction Centre led by researcher Lisa Koeman. 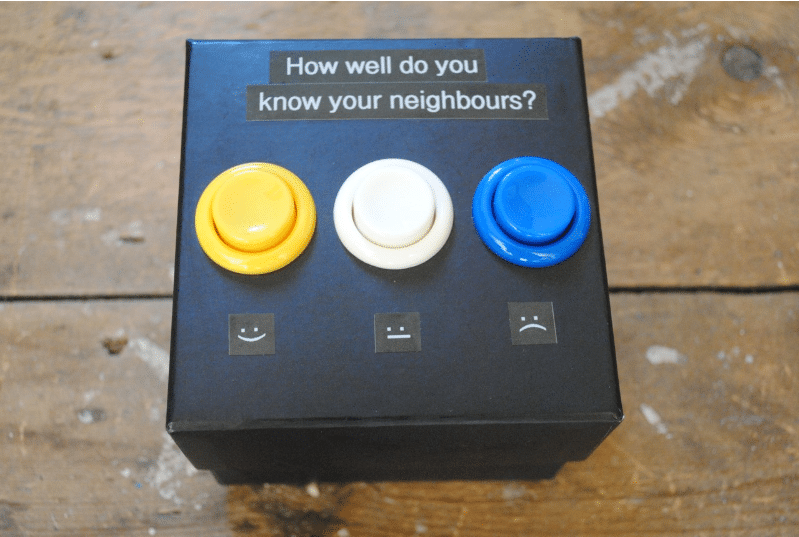 Focussing on designing technology for urban communities that enables people to have their say as well as allowing them to see the opinions of others, Measures of Us will be the first time that the researchers will have deployed easy-to-use and engaging community technologies, such as the voting boxes at a city scale. The study will enable them to learn which aspects of technologies, like those used in the project, affect community engagement. Where and when can you answer the daily questions?